In order that my Readers may be the better able to profit by the present work, I am desirous briefly to point out the advantage which they may derive from it. For by so doing I will show them the end at which they ought to aim, and to which they ought to give their attention in reading it. Although the Holy Scriptures contain a perfect doctrine, to which nothing can be added - our Lord having been pleased therein to unfold the infinite treasures of his wisdom - still every person, not intimately acquainted with them, stands in need of some guidance and direction, as to what he ought to look for in them, that he may not wander up and down, but pursue a certain path, and so attain the end to which the Holy Spirit invites him. Hence it is the duty of those who have received from God more light than others to assist the simple in this matter, and, as it were, lend them their hand to guide and assist them in finding the sum of what God has been pleased to teach us in his word. Now, this cannot be better done in writing than by treating in succession of the principal matters which are comprised in Christian philosophy. For he who understands these will be prepared to make more progress in the school of God in one day than any other person in three months, inasmuch as he, in a great measure, knows to what he should refer each sentence, and has a rule by which to test whatever is presented to him. Seeing, then, how necessary it was in this manner to aid those who desire to be instructed in the doctrine of salvation, I have endeavoured, according to the ability which God has given me, to employ myself in so doing, and with this view have composed the present book. And first I wrote it in Latin, that it might be serviceable to all studious persons, of what nation soever they might be; afterwards, desiring to communicate any fruit which might be in it to my French countrymen, I translated it into our own tongue. I dare not bear too strong a testimony in its favour, and declare how profitable the reading of it will be, lest I should seem to prize my own work too highly. However I may promise this much, that it will be a kind of key opening up to all the children of God a right and ready access to the understanding of the sacred volume. Wherefore, should our Lord give me henceforth means and opportunity of composing some Commentaries, I will use the greatest possible brevity, as there will be no occasion to make long digressions, seeing that I have in a manner deduced at length all the articles which pertain to Christianity. And since we are bound to acknowledge that all truth and sound doctrine proceed from God, I will venture boldly to declare what I think of this work, acknowledging it to be God's work rather than mine. To him, indeed, the praise due to it must be ascribed. 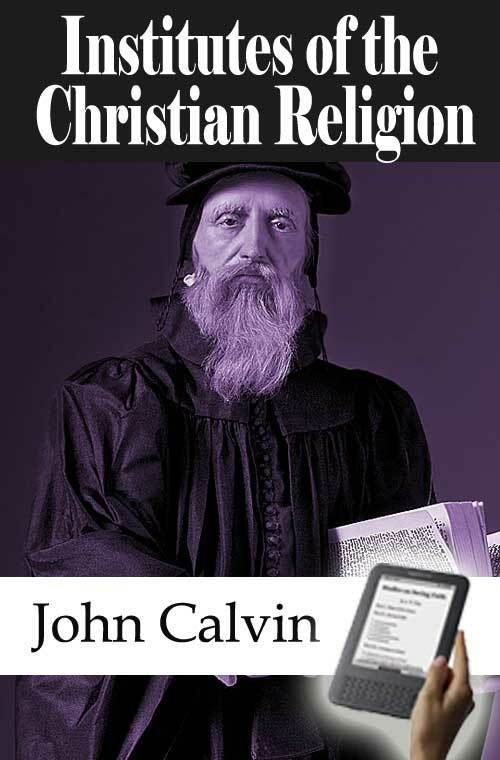 My opinion of the work then is this: I exhort all, who reverence the word of the Lord, to read it, and diligently imprint it on their memory, if they would, in the first place, have a summary of Christian doctrine, and, in the second place, an introduction to the profitable reading both of the Old and New Testament. When they shall have done so, they will know by experience that I have not wished to impose upon them with words. Should any one be unable to comprehend all that is contained in it, he must not, however, give it up in despair; but continue always to read on, hoping that one passage will give him a more familiar exposition of another. Above all things, I would recommend that recourse be had to Scripture in considering the proofs which I adduce from it.